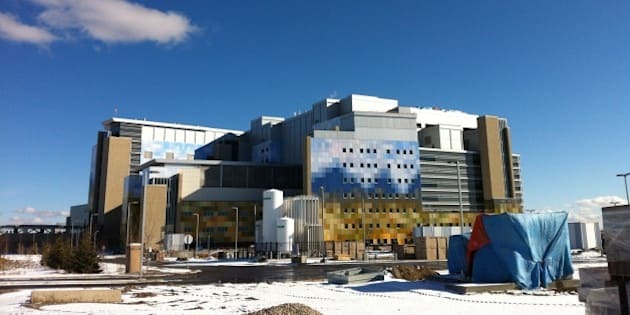 CALGARY - A patient with a potentially contagious illness is being treated at a hospital in Calgary, but health officials are cautioning the public against jumping to any inaccurate or "unacceptable conclusions." Alberta Health Services is not revealing anything at this point about the patient, including the person's age, gender or what the illness may be. "Due to this individual's travel and symptom history, we are testing this individual for several illnesses, including Ebola virus disease," Dr. Richard Musto, Calgary's medical health officer, said Thursday. "The risk of this patient having Ebola is very low." Alberta Health Services says its infection prevention and control protocol, which includes cleaning and disinfecting, was activated when the patient arrived Wednesday night at the Peter Lougheed Centre. Staff quickly shut down part of the emergency room and police taped off the entrance, although the ER fully reopened some time later. The patient was transferred to Calgary's South Health Campus — one of four hospitals in the province designated to deal with Ebola cases. "We understand that this may make Albertans feel anxious, but be assured that we are prepared to manage any potential case of Ebola," said Musto. "Patient and staff health was and is protected from any potential risk," he said. "Let me strongly emphasize. It would be both unfortunate and irresponsible to suggest that our facilities are anything but safe." Any speculation about the possible illness would be both "inaccurate and unacceptable." There are several protocols in place and there will be followups on other patients or staff that were in the emergency room, said Musto, who added the ill individual had no known contact with anyone who had Ebola and the risk is very low. Musto expects lab results to be available in a few days that will be able to rule out Ebola and pinpoint what is causing the patient's symptoms.